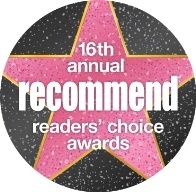 For the 13th consecutive year, Carnival Cruise Lines has earned the “Best Cruise Line Value” award in Recommend Magazine’s annual Readers Choice Awards. The awards are based on on-line surveys of Recommend readers who are asked to rate travel suppliers in a wide range of product- and service-related categories. Carnival was recognized for providing superior value more than any other cruise line. Many components of the line’s groundbreaking Fun Ship 2.0 enhancement strategy – including entertainment options such as Playlist Productions, the Punchliner Comedy Club presented by George Lopez, and Hasbro, The Game Show and dining options like The Taste Bar, Guy’s Burger Joint, Jimmy’s C-Side BBQ, BlueIguana Cantina, and the Punchliner Comedy Brunch – are entirely free of charge and when combined with the line’s fun on-board environment and friendly service, makes the value proposition at Carnival even greater.